Meet Milena, the event coordinator/dog-mom/beer-lover extraordinaire at Badger State Brewing Company. Focusing mainly on weddings, Milena has what in my eyes would be the “dream job”: she gets to work with wedding couples in an incredible venue and establishment that brews some of the best beer in the city, all in the shadows of Lambeau Field. Does it get dreamier than that?? 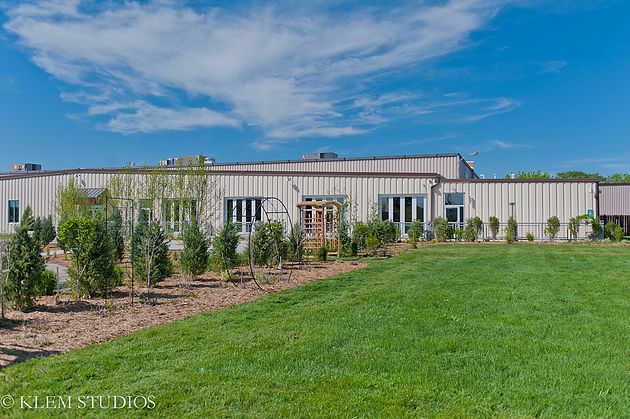 With the recent launch of their event space, I wanted to sit down with Milena and chat about the first few years of event planning and what makes hosting your wedding at Badger State so unique. What areas do you consider yourself most successful in helping your wedding clients? Wedding planning is not easy or simple all the time. My job is to make sure that couples feel comfortable at the different stages of planning and that they go into their big day feeling comfortable and confident that our team will execute their vision. If you could give any advice to wedding planning couples, what would it be? Talk to couples you know that recently got married or are in the later planning stages. You’d be surprised how sharing experiences can help guide you in the planning process. Make mental notes of things you’ve seen and liked or disliked at other weddings. Couples can work with a variety of vendors. We don’t work with just one caterer or just one DJ, for example. It allows for a fully-customizable experience! How many years have you been providing services to wedding clients? We launched the Barrel Haus in the later part of 2016, completing our first full year of wedding services in 2017. How many wedding clients do you take on each year? Do you take on other clients as well? We work with about 50 wedding couples each year, most of whom get married in the May-November timeframe. We’re very fortunate that our complex allows a variety of event styles. Each event we do is different based on size, style, and subject matter. Sometimes we’re planning our own events in the space. 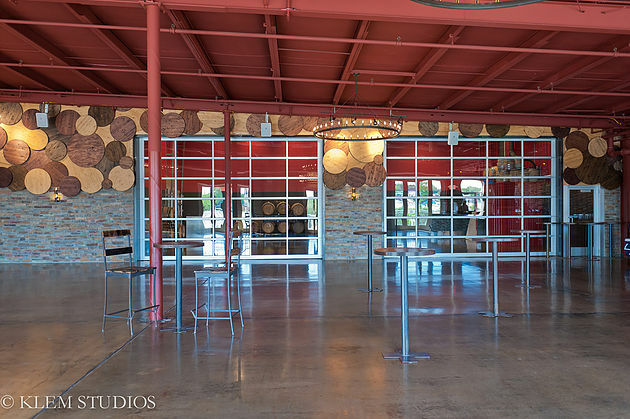 It’s fun working with our team to create a unique event, whether that’s in the Barrel Haus, Beer Garden, or Tap Room! How many wedding guests can you accommodate (if applicable)? 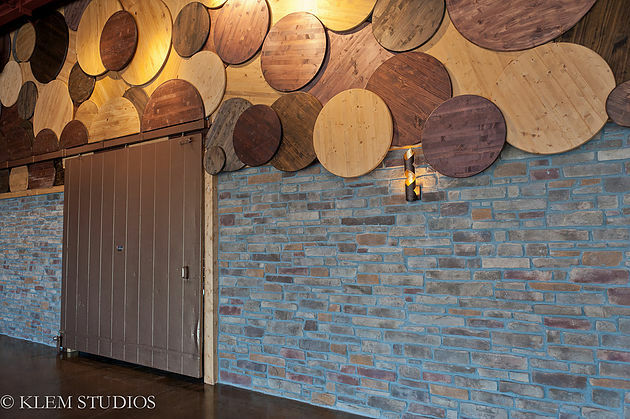 We can accommodate up to 350 seated guests in the Barrel Haus. However, we’ve been seeing a lot more non-traditional receptions where it’s more of an extended cocktail hour. With less formal seating, we can accommodate a fuller guest count for those who just want to have a great party! What type of wedding client will be happiest with the services you provide? We’ve worked with a multitude of couples, with a range of styles. We’ve been able to identify 3 types of couples that find the most fun in the Barrel Haus: 1. The Social Butterfly. Our spaces are very welcoming and friendly. We’ve worked hard to foster a culture that invites. 2. The Detail-Oriented. Through our space, we wanted to be very intentional with each design element. The thought and planning behind each decision helps make the space beautiful on its own, yet extremely customizable to each couples’ theme and decor choices. 3. The Beer Lovers. This probably seems obvious, but it doesn’t hurt to love beer! For couples and guests who may be skeptical, we serve more than just beer. Our beertenders will work with guests who may not know what they’re looking for to find a good fit. What are some of the policies/rules of your services that you think researching couples should know right away? We do not possess the ability to serve liquor. We’re only licensed to sell Wisconsin craft product (beer, soda, malt beverages). We are working on the ability to serve wine and cider, but have yet to receive the full licensing. What are some of your favorite wedding details to work with? What are some of your favorite, unique items/ideas you've seen couples bring into their wedding day/wedding planning? I always love the grand entrance; when the bride and groom enter as wife and husband for the first time! Seeing what she chose as a wedding dress is always a stunning moment. I also love how couples choose to decorate in our space. With an open concept, it’s easy to scale from more casual decor where couples lean into our design elements to a more formal style where our design elements become accents. What is the price range of your services? We try to stay competitive in the market and follow the trends that help give us an edge. How far in advance do you recommend couples book your services? Are you available on short notice? Venues are booking up faster than ever and further in advance. We’ve had a few couples put holds on dates before they were even engaged so that they could pre-emptively secure our space. What do you think is most important for wedding planning couples to consider when they are researching vendors in your field of services? Proximity to hotels, range of services offered, if they know anyone who has worked with the same vendors and what their experience was. What do you think is potentially the most stressful part of wedding planning? Do you have any tips on how to avoid this or get through this easily? The most stressful part of wedding planning can be losing focus. The way Pinterest has revolutionized wedding planning and décor, it’s easy to get caught up in hosting the wedding you think people expect versus hosting the wedding you want that best reflects you as a couple. My advice before planning gets too far along is to pick your top 3. What are the three most important things to you for that day? For me, it was my dress, our photography, and the DJ. The great part is, there is no right or wrong here. Every person and couple is different! Are there any items you don't allow couples to bring in (outside caterers, glitter/flower petals, pets, open flame candles, etc.)? The list of things we don’t allow is pretty short: No pets inside (they’re welcome in our Beer Garden! ), no loose glitter or confetti, no decorations that will alter the permanent structure of our facility (no drilling, nailing). We do allow couples to hang items using 3M strips or painter’s tape. We also allow real candles, but the height of the flame has to be lower than the height of the votive it is in. What time of year do you think your venue is really at its best? Do you offer off-season discounts? With our floor-to-ceiling windows, you can enjoy the experience of each season. If you’re aiming for a winter wonderland wedding, you can have that! If you’re looking for full bloom, we’ve got the greenery to support that as well. The best time is when the weather has a “stars align” moment where it’s not too hot or cold, not too humid, and we can open the window banks. It allows for our venue to be more transitional and allows for guests to enjoy the large patio. Our rental fee and minimum spend are lower in the off-season and on the lesser-booked days. Do you have space on site for the bridal party to get ready? How early on the wedding day do they have access to that space? We have a smaller room for bridal parties to prep. It is a part of the main tap room, so it’s easy for couples hosting their ceremonies with us to hideaway from the groom and guests. Do you have space for ceremony only, reception only, or both? We have options for both ceremony and reception! We’re constantly adapting our spaces to become more of what we see couples wanting. Are there other area professionals in the wedding industry that you've been really impressed with (besides KLEM Studios ;) )? Any vendors who are willing to work with you on a personal level to make sure that your day embodies you and your fiancé are ones we find impressive. Finding creative vendors who share a personal investment in your day makes the experience that much better! When you're not working, what are some of your favorite hobbies or past-times? I love hiking with our dogs, exploring new breweries with my husband, and experimenting new recipes in the kitchen. Is there any other information you would like researching wedding couples to know? When you attend other weddings, take notes on the things you like and remember as well as the things you know maybe aren’t for you. Something as simple as décor or dinner style can change the feeling and the flow of your day. Once the dust has settled after your big day, review your vendors on WeddingWire or The Knot. This will help your vendors and other researching couples!